The band’s first release was a single, ‘The Tattva’ which raked in considerable appreciation internationally. Uddipan, explaining the meaning behind the song as a question to the reality we perceive, says: “Tattva is a Sanskrit word and it means reality, so with that meaning we can put so many things into it. But, what I did while writing the lyrics was to talk about the human mind. Like, how someone is lost in his or her own mind. We keep trying to find so many things in our daily lives, but still we are lost. 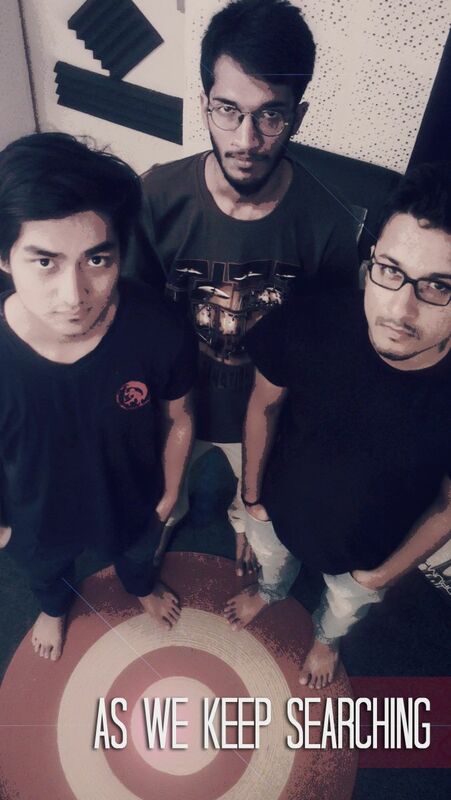 And what we want to project through the musical and the instrumental section is that: ‘OK, everything is available and close to you but you’re not opening your eyes and realizing who you are.’ ” They’ve also released a second single, titled ‘Aakorxon’, which means ‘attraction’ in Assamese. The band jams and records most of their music at the Blue Tree Studios, run by Uddipan himself. As We Keep Searching has, in essence, paved its own path in the music scene in Ahmedabad, functioning as intrinsic building blocks of the local independent music scene. They plan on releasing their six-track debut EP sometime in March this year. Keep an ear out!